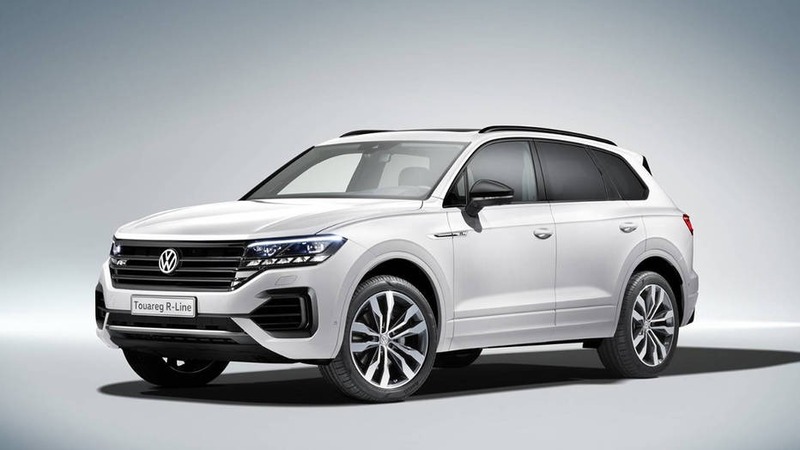 The new Touareg has redefined the term SUV in the Volkswagen line-up. It shares its underpingings with some of the sophisticated luxury SUVs such Audi Q7. The chrome-heavy front end hints at the luxury elements that the new generation is likely to carry. What is The Volkswagen Touareg? Offered with spacious exterior, the new Touareg offers as much rear legroom as most of us would read. What sets it apart from the rest is lots of width for three-abreast seats and a colossal boot. One of the major setbacks of the model is the absence of seven seats, not even as an option. Since the new platform has significant aluminium instead of steel, it happens to be lighter than before, to the advantage of economy and hauling potential – payloadis now up to 855kg. It shares its platform with VW’s range of SUVs that not just reminds us of the Audi Q7, but also the Bentley Bentayga. Needless to mention, this has introduced some really amazing options to the price list including night vision, active anti-roll chassis, four-wheel-steering, semo autonomous, driving and a set of cockpit screens. The test car boasts the big screen and a head-up display, but the mechanical spec is more real-world, with the standard coil suspension, no rear-steer, and a V6 diese engine. What’s is the Interior Like? The interior design is really stunning. The 27 inches of digital display is a pure bliss, presenting a seamless integration of a 12 inch dirver’s informaiton screen and 15-inch infotainment system to give an impression of being a massive single digital unit. According to the expert from Volkswagen Greensboro, the big chrome monoface with grille and lights all as a unit defines its style. Stepping inside, you will get a welcome from a wide variety of LEDs. The cabin looks impressive and future-ready. There are hardly any physical buttons for most of functions can be executed through massive central touchscreen. For most parts, it’s lovely to use, except the fact that the air-conditioning needs to be managed using the touchscreen. Besides, the display has a brilliant resolution and is easy to use. It is intuitive and almost acts like a modern-day tablet. It also offers a boastful features including internet connectivity, Apple CarPlay, and Android Auto, and the 3D Satellite navigation. You can also set up the favorite scree as per your desire. The front seats are gigantic, adjustable for any body to find a decent driving position. The ones on the test car come up with optional massage function and electrically powered adjustable side bolsters for the cushions and backrest independently. The boot also shares the car’s huge width. It’s 810 litres. More over, it has a big underboot compartment which includes a collapsed spare and air pump. There’s also a plenty of storage around the cabin. The Touareg’s cabin was characterised by material quality and finish. There were few luxury SUVs when it arrived in the market. Now all premium brands follow it. The Touareg has not evolved enough, so some of the materials around the lower dash feel pretty ordinary by today’s standards. However, it looks amazing, thanks to the LED backlighting. One of the most reamarkable features is the all-wheel steering. With such advanced active rear-wheel steer, you don’t have to heave the wheel so much, while reversng park into a carpark space. Powered by 3.0 litre V6 diesel, paired with the familiar 8-speed autobox, the all-new Touareg commands attention on the road. The engine is refined enough, meeting Euro 6 emissions rules through AdBlue exhaust fluid injection. The 8-speed ZF auto is, as ever, super-smooth and intuitive and can take you fro a low-speed crawl to a high-speed gallop pretty seamlessly. Air suspension exists as expected, but top spec Touaregs also received rear-wheel steering ative anti-roll bars based on a 48v electrical system. The driving aid systems are plenty in numbers, as you’d expect from an advanced SUV. The elegant features include adaptive cruise control, intersection assist, park assist, traffic jam assist etc. You can also enjoy guaranteed access to the internet via the car’s SIM card and Car-Net, which will dish out the news to you as you’re driving. Besides, it will adapt the route to live traffic updates, while guiding you to a free parking spot and more. The Touareg is also offered with available adaptive LED headlights, using 128 LEDs per headlight. It shapes the beam around other traffic, while focusing it on different distances and angles, based on inputs of speed, cornering info from the steering wheel angle, a windscreen camera and even satnav data. Top-end modern headlights really increase the safety at night. Overall, the vehicle is impressive. Take your vehicle to the nearby Volkswagen Service Greensboro and see for yourself what they can do for you. I conceive other website owners should take this internet site as an model, very clean and good user genial style.